Lauding a return to classicism and the aesthetic values of Ancient Greece, Arno Breker caught the attention of the Reich Ministry of Propaganda in 1937. From then on they became his main sponsor. His credo was: the exaltation of man by a sculptural representation respecting God's creation. Joe F. Bodenstein revisits Arno Breker's collaboration with the Third Reich, his relationship with Hitler, year 1945 and the Liberation, Stalin's attempts to take him over and eventually his rebirth in 1972. This book follows the sculptor's steps and tries to define the place of official art in a totalitarian country, the moral conscience of the artist and the sacred nature of the artwork that either must or must not survive the atrocities of History. Joe F. Bodenstein was a journalist, an author, a publisher and the best friend and art dealer of Arno Breker, before he founded the European Art Museum near Aix-la-Chapelle, Germany. For forty years he was a political correspondent for Associated Press (based in New York), one of the oldest press agencies in the world. 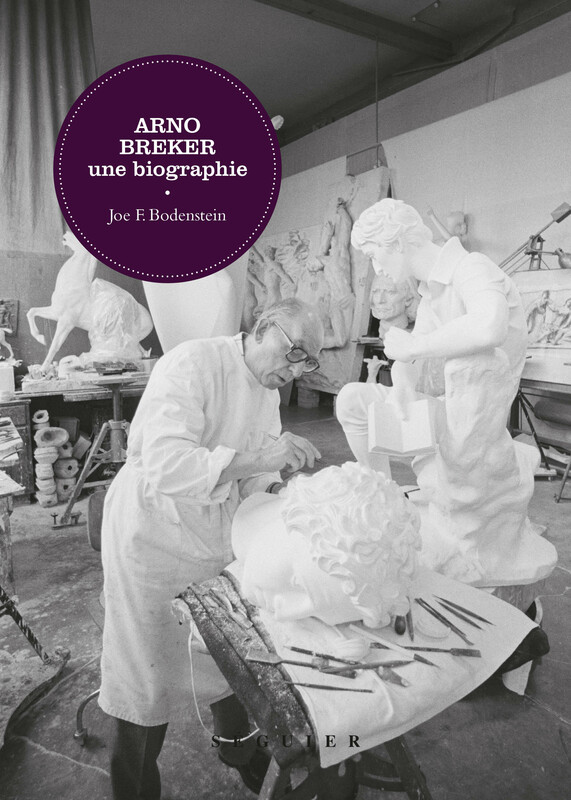 He is the author of a sumptuous monograph Arno Breker, published by Hirlé. Joe F. Bodenstein fut à la fois journaliste, auteur, éditeur, meilleur ami et marchand d'Arno Breker, avant d'être le fondateur du musée d'art Européen, en Allemagne, près d'Aix-la-Chapelle. Durant 40 ans, il fut correspondant politique auprès d'Associated Press, l'une des plus anciennes agence de presse au monde. Il est l'auteur d'une monographie intitulée Arno Breker, éditée chez Hirlé.